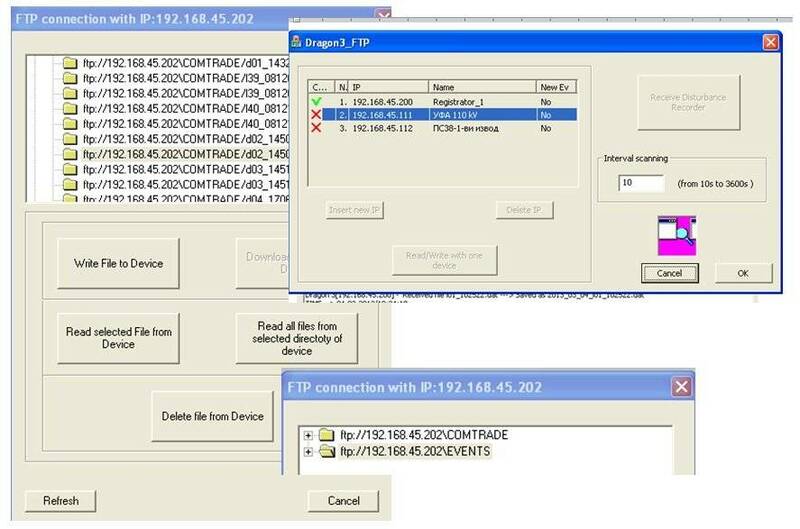 The DRAGON 3 series devices allow files' access and act as FTP-Server. The data from the Disturbance Recorder and the Data Logger are stored in the device as files in the COMTRADE directory. FTP-access could be done via the local network of the site or via Internet. There are many FTP clients in the global network, some of which could be used free of charge. 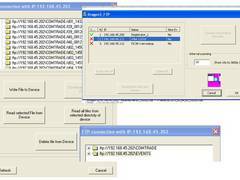 ROCON FTP-Client is a ftp-client program for automatic download and back-up of COMTRADE files from DRAGON 3 devices. Configuration module – for defining of the IEDs into the local network (LAN), for defining the period during which the program checks for the presence of new data in the configured IEDs, for the settings of the module for visualization of current data. Monitoring module - for visualizing the current measured and calculated values of the devices configured on the LAN. Logging module – for communication diagnostics.